Today I have an excerpt from Miserere: An Autumn Tale, an interview with the author Teresa Frohock, and a giveaway for one copy of Miserere for day 15 of the Night Shade Books Countdown! For further updates, you can follow on Twitter at www.twitter.com/nightshadebooks. When I was contacted about participating in the Night Shade Countdown, I had just finished reading Miserere. I really enjoyed it and was full of curiosity about the series so I mentioned I’d be interested in interviewing Teresa Frohock for the countdown. Hope you enjoy the interview – it was a lot of fun to do and reading what Teresa had to say made me even more excited about reading her next books! I love fairytales; they are fantasy mingled with horror, pure and simple. All fairytales, true fairytales and not these watered down Disney versions, are dark. The Little Mermaid doesn’t go dancing off singing “Under the Sea,” she loses her chance to be human and is turned into sea foam. Can you tell us some of the dark fairy tales that have inspired you and what aspects you found most fascinating? Teresa Frohock: I want to thank you, Kristen, for having me here. I just love your blog. My three favorite stories are The Little Mermaid, Rapunzel, and Beauty and the Beast. In The Little Mermaid, I loved the sisters trading their hair for a knife that would kill the prince—okay, so I’m morbid like that. Anyway, his blood must fall upon the Mermaid’s feet and her legs so she can be returned to her true self—a mermaid. Yet she can’t do it. She can’t bring herself to take his life. That moment, when the Mermaid has to decide whether or not murder the prince or die herself, was very poignant for me. I think what struck me about that story, even as a child, was the sudden realization that not all stories had happy endings. Likewise, it’s the last portion of Rapunzel that intrigues me. The wicked enchantress cuts off Rapunzel’s hair, renders her ugly, and banishes her to the desert where she has twins. The prince is blinded and sent to wander the world before he comes to the desert and finds Rapunzel. I’ve always thought that was the true story in Rapunzel, the time between getting thrown out of the tower and finding one another again. What happened in all those years when they were forced to fend for themselves? Did that magical love-at-first-sight hold up or did they grow bitter and blame one another for their lost youth? Did they still love each other with the same passion even after they grew older and changed? Was their love the same? How could it be? There are shades of Rapunzel in Miserere if you look closely enough. With Beauty and the Beast, it was the imagery of magic mirrors, walls, enchanted roses and jewels. I think Beauty and the Beast is probably the most mature fairytale in that it shows how Beauty comes to love the Beast instead of identifying him as THE ONE from the beginning. The story is less about love at first sight and more about mature love that grows over time. I think my favorite part of Beauty and the Beast was when Beauty accidentally finds the Beast bloodied from a kill. She has that sudden realization that all is not perfect in this enchanted realm. The Beast’s ugliness also manifests in violence. All his pretensions are stripped away and his true nature is revealed. FC: “Beauty and the Beast” is my favorite fairy tale so I was excited to see in your blog that the book you are working on, The Garden, is a twist of that type of story (especially after reading that you also like your stories dark, but I could have guessed that after reading Miserere!). Can you tell us a little about the story and how it is both similar to and different from that tale? TF: I will do with The Garden what I did with Miserere and Rapunzel—smoke and mirrors, lots of mirrors. The Garden begins in the summer of 1348 on the Iberian Peninsula. Guillermo Ramírez, a blacksmith conscripted into the King’s army, takes refuge in the ruined garden of an abandoned monastery only to find himself among magical creatures. The ancient daimon Ashmedai has trapped other men in the garden and uses their souls to break the sigils of power that hold him to the Garden. Guillermo must solve the mystery of his past so he can restore the sigils that will lock Ashmedai from humanity forever. The mysteries of the Garden can only be unraveled by a hideous creature, perversely named Belita. Guillermo believes that Belita knows how to destroy Ashmedai, but she will only divulge her secrets if Guillermo can recall a past incarnation. Buried in the memories of that incarnation is the pattern for a key that will restore the sigils of power and forever bind Ashmedai back to the lower realms. The Garden is very much an adventure story and is darker than Miserere. Guillermo is the beauty of the story, but unlike the brave woman in the fairytale, he is tricked into the Garden, and once behind the walls, he cannot leave. Beauty was selfless, but Guillermo is very selfish, at first. Belita is my beast, and she is willing to do anything to defeat Ashmedai, even destroy the mortals she was sworn to protect. There will be magical mirrors and a ring that binds three men together in an unusual way. There’s a love story too but I won’t say much about that right now. FC: What was the biggest challenge about writing your first novel? Is writing your second book any easier? TF: I think the hardest thing about writing Miserere was learning to keep the story focused on Lucian. I had so many great characters that were such fun to write, I almost got carried away a couple of times. The same thing happened with The Garden. I tend to fall for the more complex characters (Rachael in Miserere and Diago in The Garden), so I leave off my protagonist’s story to write the parts that interest me the most. It’s easy to get sidetracked with plotting too. I’ve got some excellent crit partners who keep me on track. I think writing the second book is actually more difficult, because I’m so aware of the magic and imagery that I used in Miserere. We were discussing this on Twitter recently, and I think Doug Hulick said it best, “… you want the structure and character of the book to stand on its own even if it is part of the same series.” That’s easier said than done. Again, the clear eyes of my crit partners and my agent often help me with that. FC: Miserere: An Autumn Tale is mainly Lucian’s story so I was interested to see that the next book, Dolorosa: A Winter’s Dream, is going to be Rachael’s story. Can you tell us a little about her story and what she’ll be dealing with in the novel? Will the third book be about a different character, perhaps Lindsay? TF: Rachael will be dealing with the long term consequences of the Wyrm. One thing I can’t stand is when magic becomes a cure-all, and in Rachael’s case, the exorcism is only the first step. She is plagued by dreams and sometimes confuses reality with her past on Earth. Her father, who made only the barest appearances in Miserere, will play a larger role, even though he’s dead—well, kind of … I’ve got it worked out—trust me. While all this is going on, Rachael will be dealing with her feelings about Lucian and the political ramifications of her responsibilities as Inquisitor. I want to introduce more of the political aspects of Woerld in this book. And of course, Lucian will be back. Can’t very well have our little drama without him, now can we? FC: One aspect of your novel that I really appreciated was that the main character, Lucian, was a mature adult who has gone through a lot instead of the younger, more inexperienced characters that are so common in fantasy. Why do you think there are so many fantasy books with younger characters as main protagonists? TF: I really don’t know. I think part of it has to do with traditional fantasy that follows some form of Joseph Campbell’s hero’s journey. In order to do that, the protagonist is usually young. I also think reader tastes and the market has a lot to do with it. 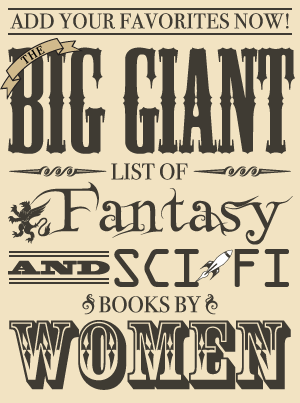 A lot of people enjoy YA literature, especially in fantasy, and there’s nothing wrong with that. I enjoy YA literature from time to time, but as I’ve gotten older, my perspective has changed. I don’t think about issues the same way now as I did when I was twenty or thirty or even forty. Yet I still love fantasy. I want to read about exotic worlds and different civilizations and magic—always magic. I think fantasy geared toward and about adults is becoming more prevalent and explains the popularity of Abercrombie and Martin. I hope it is. Adult fantasy is where my personal taste rests. We can blame that on our aging geek population. FC: Do you think it was more challenging to write about a main character with a past that had shaped him instead of one who was just starting out in life? TF: They both present different challenges. Guillermo has been a difficult character to write because he doesn’t have the wealth of experience that Lucian has. Guillermo does some stupid things because he’s young and he’s more of an anti-hero than Lucian. It’s been almost painful to write some of the scenes where he acts so impetuously. The difficulty with Lucian was weaving the past into the present without resorting to flashbacks. Flashbacks work very well for some authors, but I wasn’t comfortable with using the technique in Miserere, and in the end, I’m glad I didn’t. I liked the way Lucian’s memories were triggered by his current experiences. It was more fun for me to write a character with a past. FC: I’m really curious about the Katharoi, those chosen to join the battle against the Fallen on the gate between hell and earth, Woerld. Does a Katharos exhibit any signs of being special while still on earth? Is it common for siblings to be chosen together like Lucian and Catarina or Peter and Lindsay? If so, is there a reason for this? TF: I think they do exhibit signs of being special on earth; however, I think siblings being drawn through the Veil together is a rare occurrence. Lucian and Catarina were exceptional because they were twins. Peter being taken with Lindsay was my fault. Unfortunately, I had this scene with Rachael and Peter that I loved. When Lucian’s foundling shifted from Peter to Lindsay—somewhere in one of the ten thousand drafts I did—I didn’t want to lose the Rachael/Peter scene, so I brought Peter through the Veil with Lindsay. Sometimes, the Heavenly Court wants to have her cake and eat it too. I’ll explain in detail in one of the next novels. It’s definitely a question that Lindsay will ask. She is my reader’s eye into Woerld and we have much to learn before we are done. FC: Since the more prominent Katharoi in Miserere: An Autumn Tale are Christian and use prayer to do their work, did you worry at all that people would view your book as too religious? TF: Yes. I’m still fighting algorithm hell on Amazon, which continues to classify Miserere in the Christian fiction section due to the word “Christian” in the blurb. I did not write Miserere to be Christian fiction, although I did try to portray the religion sensitively. I’ve been very appreciative of all the reviewers who have taken the time to review Miserere and address those misconceptions. It’s not Christian fiction at all and does express some views that would be seen as heretical to Christianity. The reviewers have saved the book by bringing it to the attention of genre fans, and I am very grateful for that help. FC: All religions do work together to fight evil in your world, so will any other books focus more on any of the other religions and their role on Woerld? Do other warriors not belonging to the Citadel have special talents that are different from those the Christian Katharos have or channel their powers differently? TF: Yes to both questions. In response to the first, I hoped that if the series really took off, I could pursue different characters at different bastions. A lot of this will have to do with sales, but I envisioned a lot of different ways that I could indulge in my research addiction by doing a short series with characters from the Mosque and another one from the Rabbinate and even branch out more. This would allow me to explore the different ways each of the bastions work their magic. Since the Rabbinate and the Mosque will be involved in book three, I will get to touch on their practices there. As to the second question: I haven’t worked out all the details yet, because I’m still reading about other religions and incorporating those beliefs into a fantasy world setting. Working different forms of magic into Woerld will take some manipulation on my part to make it all ring true. The whole concept is positively limitless—unless I write myself into a corner. FC: Since members of all religions in Woerld are working together against a common cause, are there any enemies who are not fallen angels who have rebelled against God? Are any of them based in other religions? TF: Absolutely. Politicians have used religion as the means for manipulating the populace into all kinds of wars. There is no reason that Woerld’s politicians (kings and queens) would be any less self-interested. That includes other religions. They might not be on the side of the Fallen, but they have as much interest in controlling Heaven’s Gates as the Fallen, and they can attack the bastions. The scope of Woerld broadens every time I tackle another book. The readers want more, and I’m delighted to indulge them, but only for so long as it doesn’t get in the way of the story. I’m not George RR Martin. I simply do not juggle multiple plotlines and characters well, so I leave that to the masters of the profession. I’m still learning. I enjoy writing about people swept up in major events. It’s like real life. Some characters will have happy endings, and some, like the little mermaid, are doomed from the beginning. You just never can tell until you hit those magic words: The End. 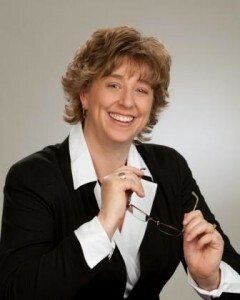 Teresa can be found most often at her blog and website. Every now and then, she heads over to Tumblr and sends out Dark Thoughts, links to movies and reviews that catch her eye. You can also follow Teresa on Twitter and join her author page on Facebook. Exiled exorcist Lucian Negru deserted his lover in Hell in exchange for saving his sister Catarina’s soul, but Catarina doesn’t want salvation. She wants Lucian to help her fulfill her dark covenant with the Fallen Angels by using his power to open the Hell Gates. Catarina intends to lead the Fallen’s hordes out of Hell and into the parallel dimension of Woerld, Heaven’s frontline of defense between Earth and Hell. When Lucian refuses to help his sister, she imprisons and cripples him, but Lucian learns that Rachael, the lover he betrayed and abandoned in Hell, is dying from a demonic possession. Determined to rescue Rachael from the demon he unleashed on her soul, Lucian flees his sister, but Catarina’s wrath isn’t so easy to escape. In the end, she will force him once more to choose between losing Rachael or opening the Hell Gates so the Fallen’s hordes may overrun Earth, their last obstacle before reaching Heaven’s Gates. 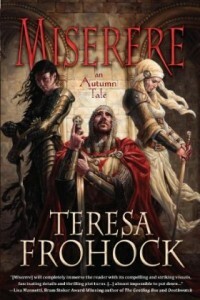 Courtesy of Night Shade Books, I have one copy of Teresa Frohock’s novel Miserere: An Autumn Tale to give away! Giveaway Rules: To be entered in the giveaway, fill out the form below. One entry per person and you must be from the US or Canada to enter (sorry to those outside those countries). The giveaway will be open until the end of the day on Thursday, December 29. The winner has 24 hours to respond once contacted via email, and if I don’t hear from them by then a new winner will be chosen (who will also have 24 hours to respond until someone gets back to me with a place to send the book to).